If you have not heard of this amazing and fun game that is gaining popularity, it’s time you learn! Gaga Ball is a sensation and caters to all age groups. 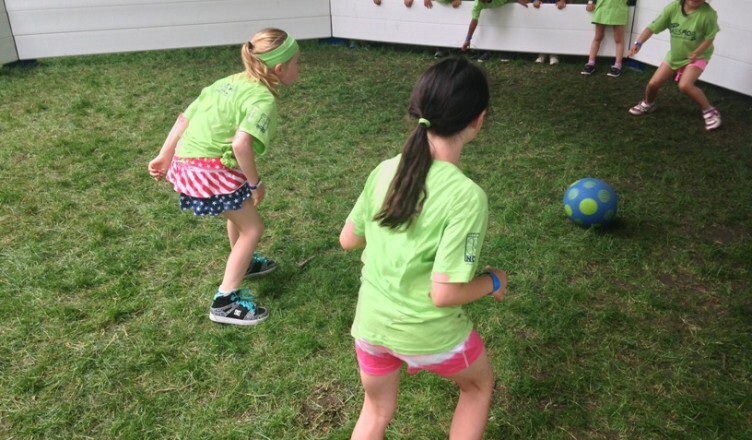 Often identified as a more gentle version of dodgeball, Gaga Ball is acceptable for everyone and gets better the more people you include! The game itself is quick moving and offers an activity that you can enjoy for hours on end. Rather than the hard rubber ball used in dodgeball, Gaga Ball is played with a soft foam ball and it aimed at the lower part of your legs. Starting off, there is one ball in the pit. As players dodge and dive the ball for a few minutes, there will be another ball added to the pit. With two balls being thrown back and forth, even the most skilled of players are sure to be eliminated in no time. Once over, players are free to hop back in and start all over again! Gaga Ball is an extremely simple game. With the Octopit, you pick a location and set it up. From there, you gather as many players as you can and have them jump in. Turn up the music and watch the kids duck, dive, run, jump and dodge the ball. If a player is hit anywhere below the knee, they’re out. The nature of this game is fast-paced and will hook players in minutes. You won’t be able to stop them from playing Gaga Ball! All players must have their hand touching the wall of the Octopit to start. The referee will throw the first ball in the pit. Letting the ball bounce twice, players will yell “GA” when it bounces, and on the third one yell “GO”. The ball is now in play. If a player is hit below the knee by the ball, even if they do it themselves, they are out. If hit above the knee, player is still in. If a player catches a ball on the fly, the player who hit it is out. Using the Octopit to help jump out of the way of the ball is allowed, but players may not sit on the wall permanently to avoid getting hit. After a few minutes, another ball may be added to increase the difficulty of the game. That’s it! Gaga Ball is a fun and exciting game for kids of all ages to enjoy. Thanks to Octopit, you can set up your Gaga Ball game anywhere, any time. This is sure to provide you with hours of activity and entertainment. Call today to order your Octopit!